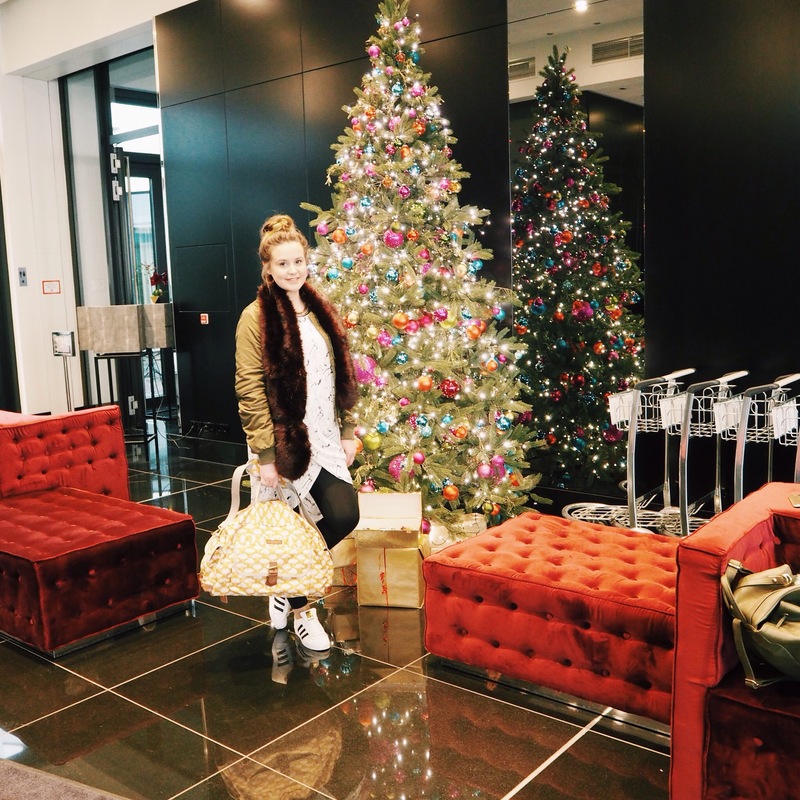 It’s hard to believe that Christmas has come and gone but now the time to indulge in some much needed PJ days and over eating has begun. I’m sure a lot of you have treated yourself or been gifted with a weekend away. 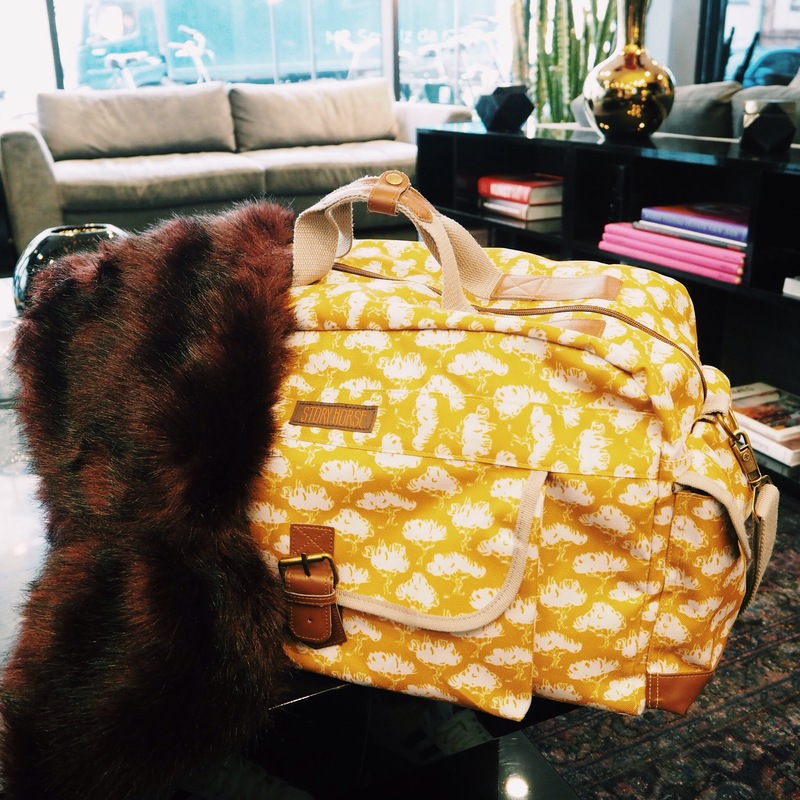 With that perfect weekend away comes the perfect weekend bag. 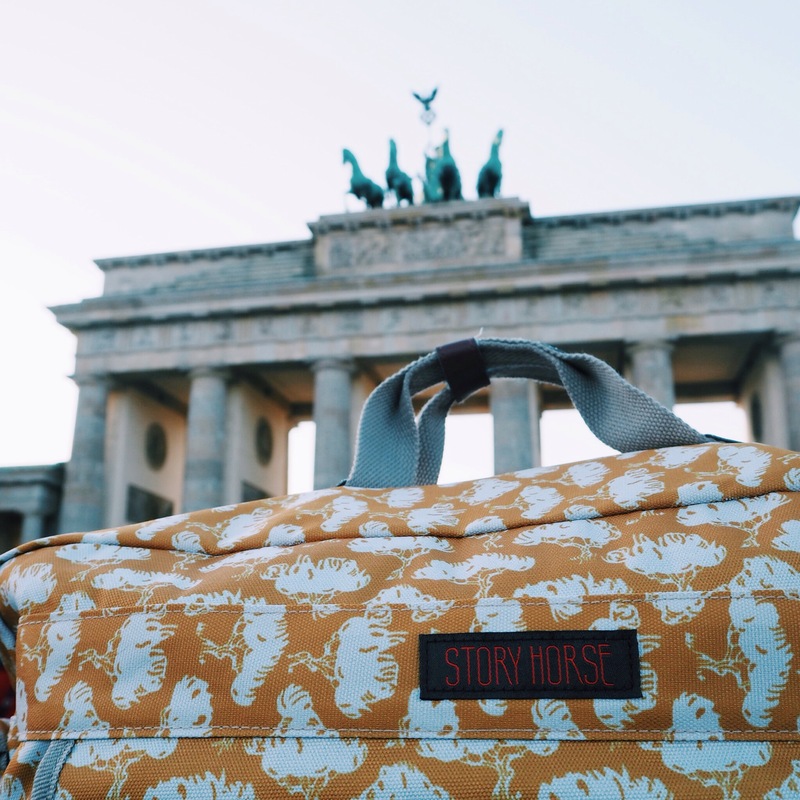 As you all know last week I was in Berlin and was kindly gifted with a beautiful printed bag from local brand, Story Horse. It is part of their ‘Chilly days out and Cosy nights in’ collection which also features knitwear, outdoor accessories and jewellery. The brands quirky name (which is exclusively available online), derives from an old Dublin saying ‘What’s the Story Horse? Meaning How are you? 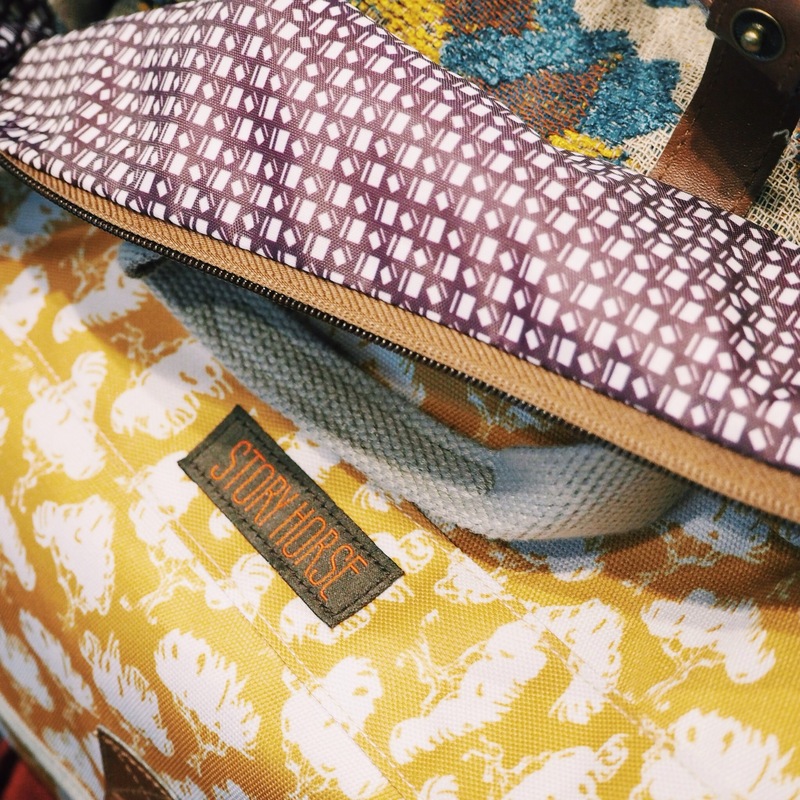 When I was flying I used this gorgeous mustard and plum printed bag from their ‘Walk With Me’ collection as my carry on and it was extremely practical. What I love most about it is the leightweight feel. Even with carry on luggage, weight limitation can still apply with some airlines. The soft material makes it incredible for packing a lot into the it. With compartments on the side and front of the bag you can keep your travel information, headphones or hard boiled sweets (I’m old school for ear popping) for the journey. 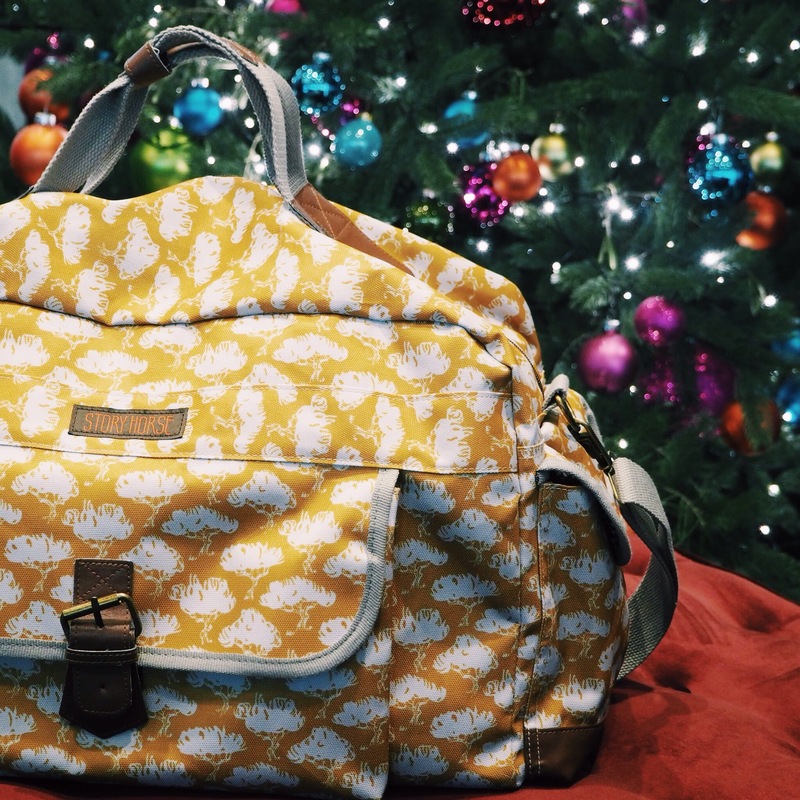 It’s an incredibly durable bag that made travelling so much easier for me. There are a variety of styles to choose from but I loved the yellow base with white prints and the plum interior on the inside made it all the more appealing. 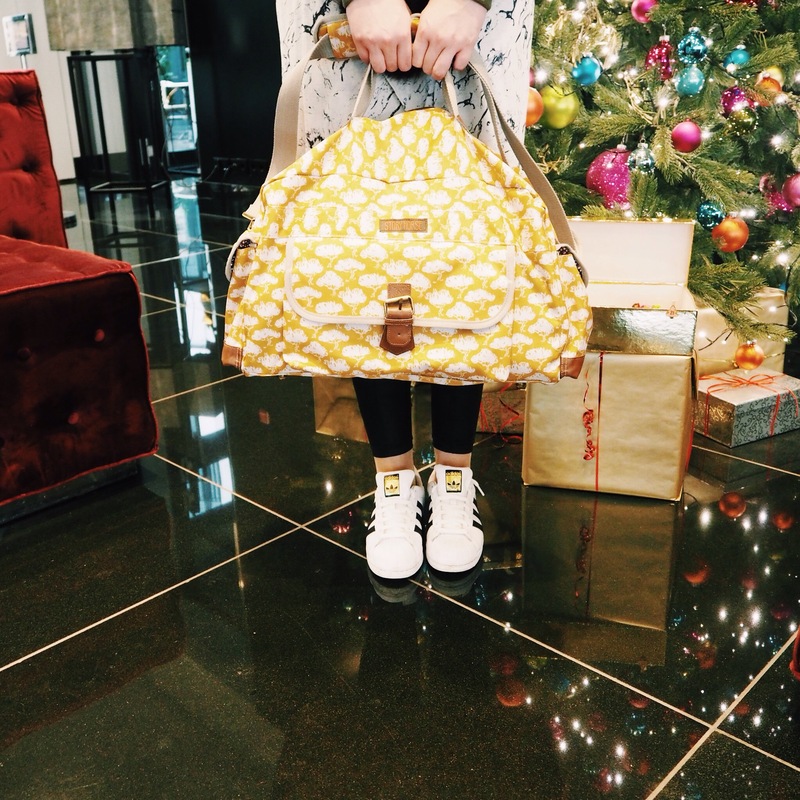 I carried around the city with my as I’m a huge shopper who hates carry loads of bags. It’s so multi-use which I loved. 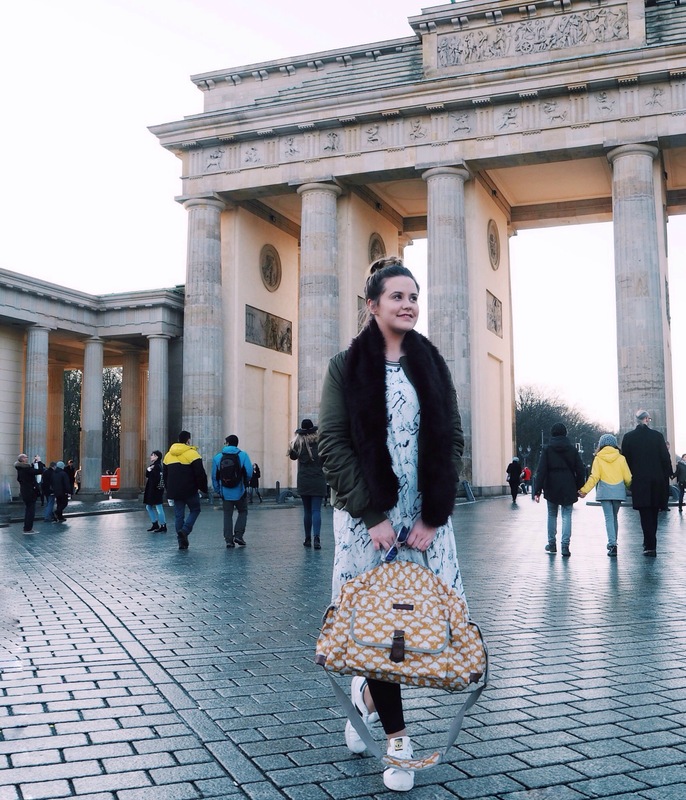 Of course I couldn’t resist snapping it in front of the iconic Brandenburg Gate. It would have been rude not to! I had an absolute ball in Germany and I have a few OOTD looks coming your way soon so stay tuned. So if any of you have planned or received a weekend away trip, I would definitely suggest paying Story Horse a visit or Not On The High Street. With a range of bags and toiletries essentials to choose from, it will make your mini break prep much easier.